The Weisends farm 40 acres in Noble County where they run 50 registered Cheviot ewes and 15 commercial club lamb ewes. CALDWELL, Ohio — Imagine having your local veterinarian 40 miles away, the nearest feed mill 60 miles away, or having a two-hour drive to the nearest parts store. For some farmers in southeastern Ohio, this is a reality. The Weisends — Kendal, 32, and Tabitha, 29, — farm 40 acres in Noble County where they run 50 registered Cheviot ewes and 15 commercial club lamb ewes. Their “local” veterinarian is based in the town of McConnelsville, about 40 miles away from their farm. “If I have a lambing issue at 2 a.m., I have to know what I am doing,” said Tabitha. If she does notice something wrong with her animals, she sends a picture to her veterinarian explaining what she thinks the problem is and how she plans to address it. Tabitha’s judgment comes from years of attending seminars and watching over her flock. They attend workshops put on by the local soil and water conservation district, county Extension and take advantage of the Eastern Agriculture Research Station located in Caldwell. “We learn from other people’s problems,” she said. And they heavily rely on what Tabitha refers to as the sheep bible, Storey’s Guide to Raising Sheep. Tabitha’s husband, Kendal, is in charge of the feeding program. “Right now there is one feed mill in town and it’s the only one in Noble County,” said Kendal. If that feed mill were to close, the next closest one would be over 50 miles away, he explained. The Weisends have carefully researched their feed mix to get a desired rate of gain — 0.8 pounds per day. The premix they purchase comes from an out-of-state vendor. “If we did have to use another feed mill, there’s a chance that the new feed mill would not let us use our premix,” said Kendal. Tabitha also puts a strong emphasis on her genetic program. “I know what works and what doesn’t work,” she said, adding they haven’t purchased a ram or ewe for the flock in the last five years. “I’m sure people would think I’m nuts if they saw my charts,” she said. The Weisends use a FAMACHA program to select for animals that are resistant to certain parasites. They also use a rotational grazing system to help combat parasite issues. 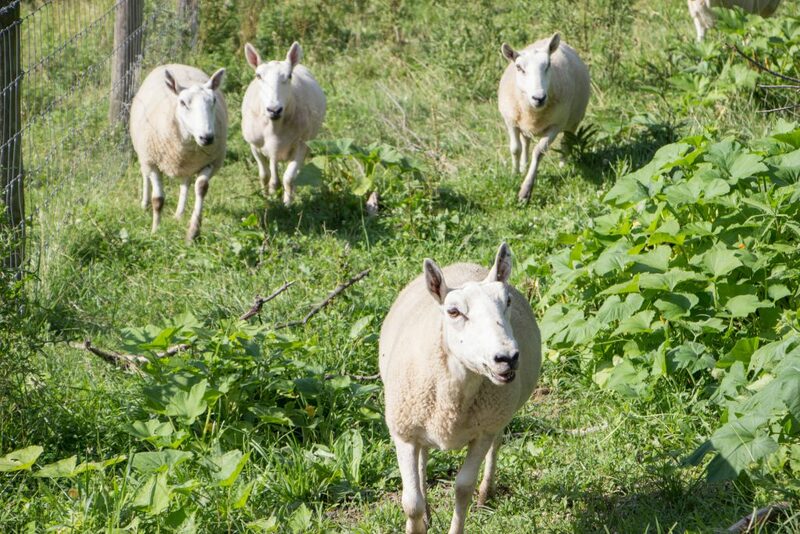 Tabitha got her start in the sheep industry in 2000, when she won the Jim Cluff Memorial Starter Flock Award from the Ohio Cheviot Breeders Association (OCBA). The starter flock award gives a youth entering the industry a membership into the OCBA, one bred ewe the first year, one ram the second year and in the third year the youth donates a lamb back to the program for the next award winner. Winners are also assigned a mentor who helps the youth learn the ins and outs of the sheep industry, from proper feeding and health care, to shearing and hoof trimming. “Sheep isn’t something you just jump into,” said Tabitha. Youth are more likely to stick with the project when they have a mentor, and she, in turn, has become a mentor for youth in her area. “We started into market lambs for the youth. We offer a reasonable price for kids starting out,” she said. 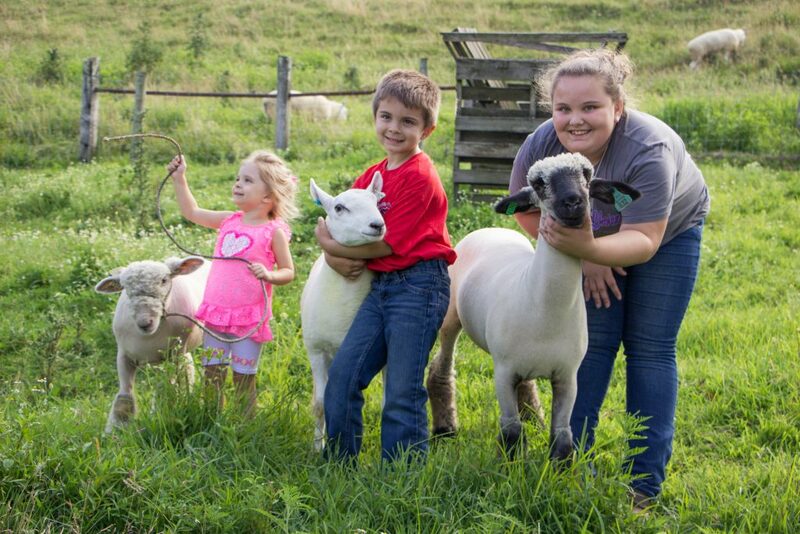 Tabitha and Kendal want to make sure the youth stay involved, so they help children learn to clip their lambs and visit with them to make sure they know how to feed them properly. Tabitha’s hope is that they will eventually want to start flocks of their own. The Weisends also spend some time traveling to state and national sheep shows and they always ask if another youth member would like to tag along. “We’ll load up a trailer and take any kids that want to go to a show,” said Tabitha. 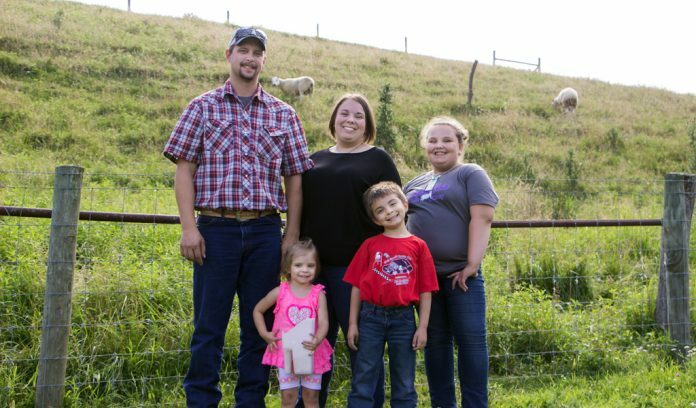 Her younger sister, Annie Saling, 10, has started a small flock of her own at her big sister’s farm and Tabitha and Kendal’s children, Hudson, 6, and Hadlei, 3, have also taken an interest in the sheep. At the 2018 Ohio State Fair, Annie was awarded the Jim Cluff Memorial Flock Award — awarded by the same family that awards the started flock award. “Funny how things come full circle like that,” said Tabitha. 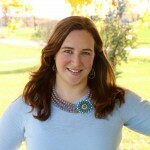 Both Tabitha and Kendal are active members of the Ohio Sheep Improvement Association and Tabitha is an Ohio Sheep and Wool Program board member. The Weisends take advantage of the livestock auction in Mount Hope to market feeder lambs that are not sold as show stock. 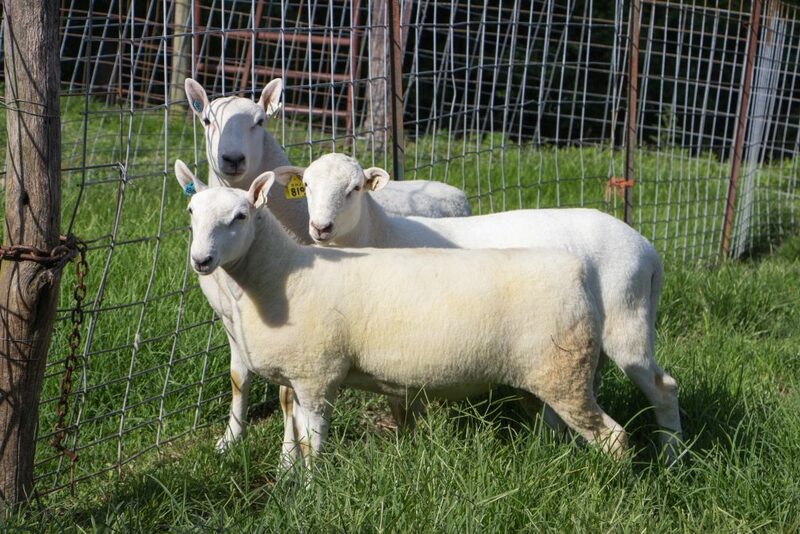 They also sell live lambs off the farm to individual buyers and offer delivery to the buyer’s packer of choice. “We want to educate people and we want them to eat lamb,” said Tabitha.